Everything about this ISCHIKO jacket is unique; its volume, the softness of the material, its great wearing comfort and the casual look. 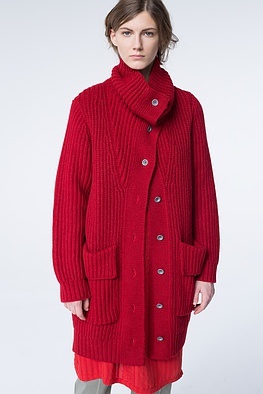 What makes it especially beautiful is the soft knitwear which looks like it has been hand-knit. Combine it with flowing shirts, blouses, pullovers or dresses – everything fits. 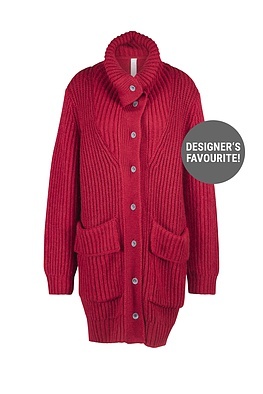 A large pocket, a button panel and the voluminous collar all round off this jacket.